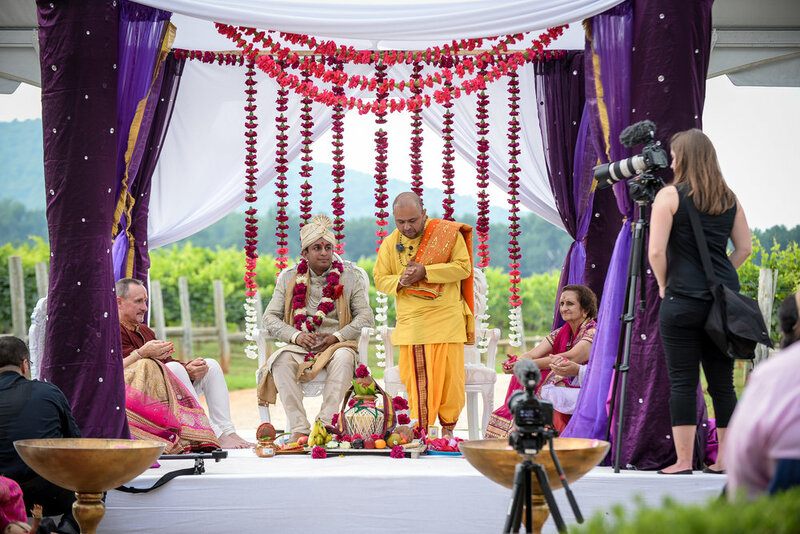 Congratulations to Sonny & Megan who celebrated their Indian wedding at Keswick Vineyards on Friday, August 1st. 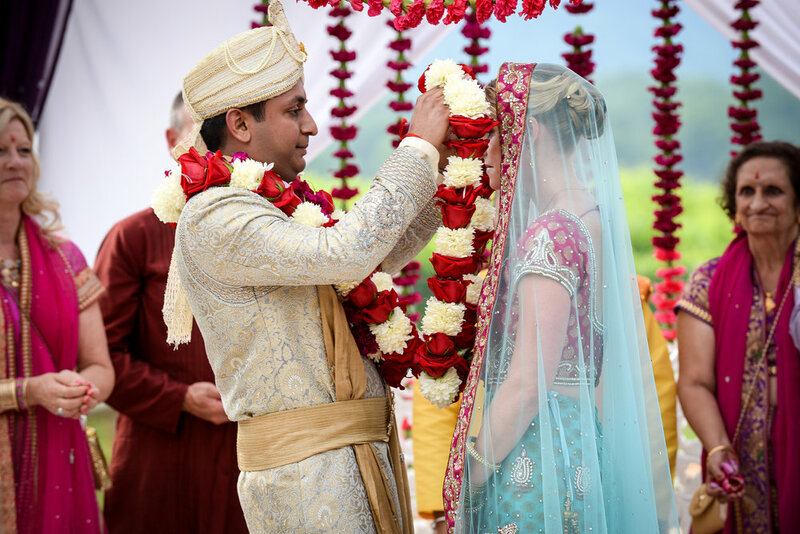 With the threat of rain and such an elaborate Hindu ceremony, Sonny & Megan decided to play it safe by renting a tent to house their outdoor wedding ceremony under from Skyline Tent Company. At first I wasn't sure how that would look but once in place, it looked like it always belonged here. With the clear top tent accented with white drapery and a white stage, no one would of known that it was only there because of a rain plan. As the day went on, the skies cleared and the sun came out and no rain! The weather was perfect for this colorful, rich in culture, celebration. 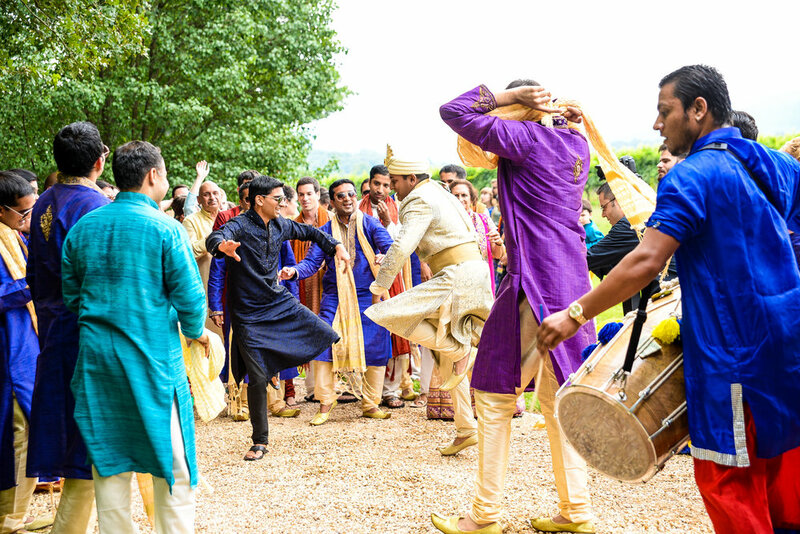 The event started with the Barat which is when the groom (Sonny) makes his entrance on a horse while guests parade with him dancing & shouting to the beat of a drum leading to the ceremony location. Megan then joins Sonny on the stage along with both sets of parents and the priest. 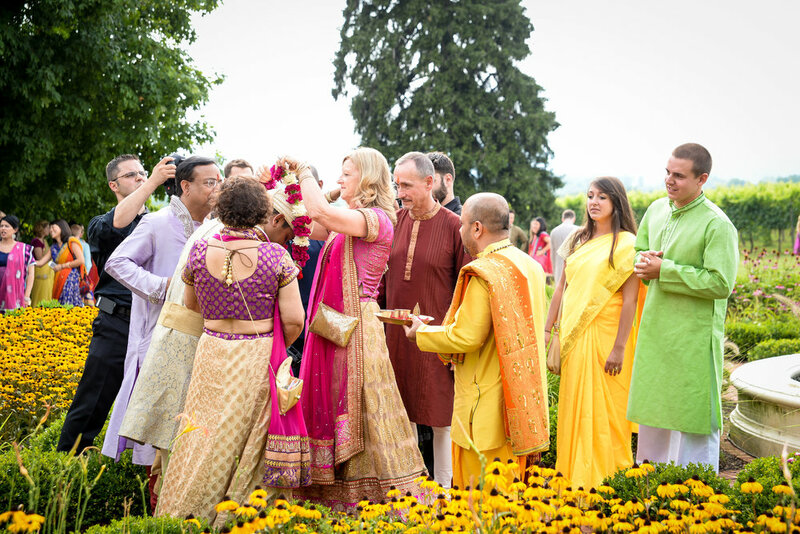 Many Hindu rituals are done throughout the ceremony starting with Megan putting garland around Sonny's neck to signify that she accepts him as her husband. Towards the end Sonny puts a red powder in Megan's hair indicating that she is a married woman. After the ceremony guests enjoyed cocktails on the grounds of Edgewood Estate. Once under the Sperry reception tent, guests enjoyed a delicious Indian buffet dinner by IndAroma and danced the night away under the direction of DJ Yogi. Thank you to all the vendors for making this night unforgettable to all that attended: Day of Coordinator Trisha Cranor from Working Brides Wedding Planners, Caterer IndAroma, DJ Yogi, Photographer Scott Hopkins, Videographer Artistic Wedding Films, Partyland Florist, Officiant Satyanaraya, A&A Limo for buses, TDR Artistry for hair, Make-up by Daniela, Paisley & Jade for furniture rentals, MS Events & Festive Fare for rentals, VA Tent Rental for stage rental and Skyline Tent Company.